Should we watch the clock instead of the scale? There is a time to fast, and a time to eat. What if one fairly simple change in the way you eat could make a positive difference in your health, and possibly result in weight loss? Exciting new research points to a path that may accomplish this. And you don’t even have to change what you eat. It’s called Time-Restricted Eating. Think about your average day. Do you eat breakfast around 7 a.m., have lunch midday, perhaps indulge in a late afternoon nibble, consume dinner around 7 p.m., and then perhaps enjoy a 9 p.m. snack and/or a beverage while you’re working on the computer, reading, or watching TV? If so, the time you have “fasted” (not eaten) would be 10 hours, and your “eating window” would be 14 hours, which is pretty typical for most of us in the United States. With Time-Restricted Eating (TRE), instead of the average 14 eating hour window, you condense your daily food consumption into a tighter time frame, such as 12 hours. This gives your body a daily 12 hour fast, instead of the average 10 hour American fast. Your body will most likely reward you for this change. Let’s see why. Our bodies have clocks that operate on a roughly 24-hour cycle (circa means “about” and diem refers to “day”). There is an optimum time for our body to digest food, make hormones, and repair tissue. Our guts, stomach, mouth—virtually all of our organs and cells—operate on these clocks. You may be familiar with the research demonstrating that people who work night shifts tend to have more health issues, including obesity, gastrointestinal issues, heart disease, and diabetes. Most people who work at night are fighting their natural circadian rhythms. We are doing the same if we are eating when our body should be resting and repairing itself. So, chomping down on that Dove bar at midnight won’t allow your body to do its best work. When you think about this from an evolutionary standpoint, it makes sense. According to Scientific American, “Sleep evolved to ensure that species are not active when they are most vulnerable to predation and when their food supply is scarce.” Our all-the-time-anytime food availability is relatively recent. Mark Mattson, a professor of neuroscience at Johns Hopkins School of Medicine, was quoted in Time magazine saying, “Natural selection would have favored individuals whose brains and bodies functioned well in a food-deprived state.” For many of us, our day-to-day life is at odds with our circadian rhythms. What Can Rodents Tell Us? Rodents are frequently used in research because many of their biological functions closely mimic those of humans. Recent studies involving TRE in the journal Cell Metabolism found that rats given unlimited food around the clock became obese and developed a variety of diseases. Those that were offered the same number of calories, but only during a 10-hour time frame, remained healthy and lean. Their insulin sensitivity increased, and they had lower levels of triglycerides and cholesterol. Another TRE study, performed by researchers at the Salk Institute, found that TRE worked even if it was practiced only five out of seven days a week. So, a weekend reprieve that still delivers benefits—yippee! What About Research Using People? A 2018 study in Nutrition and Healthy Aging found that in a 12-week study of 23 obese volunteers, “those who followed the time-restricted eating diet consumed fewer calories, lost weight, and had improvements in blood pressure. On average, participants consumed about 350 fewer calories, lost about three percent of their body weight, and saw their systolic blood pressure decrease by about seven millimeters of mercury.” The American Heart Association stated: “Intentional eating with mindful attention to the timing and frequency of eating occasions could lead to healthier lifestyle and cardiometabolic risk factor management.” Improved sleep has also been a side reported effect of TRE. So, How Can This Information Be Used? Think about your typical “eating hours.” Since I work from home, I’ve adopted an 8 a.m. to 8 p.m. eating time frame. That provides a 12-hour fasting period. Remember that even black coffee—really, anything other than water—counts as “food.” When we stop eating earlier in the evening, we tend to ingest about 20 percent fewer calories since there is no running to the fridge or pantry at 10 p.m. to eat that Chunky Monkey, pour a glass of wine, or fill a big bowl with popcorn, so some weight loss usually follows. This has been a happy side-effect for me. Once you get used to a 12 hour fast/12 hour eating period, try to shave off another hour or two (the research indicates that eating within an 8 to 10 hour time frame, which provides a fasting period of 14 to 16 hours is even better), and perhaps can be an eventual goal. It does seem, to paraphrase a phrase from the Bible (and a song by the Byrds), that there is a time to fast, and a time to eat. And that WHEN we eat might be as important as WHAT we eat when it comes to our health. Try watching the clock instead of the scale, and see what happens. You have nothing to lose (except perhaps some weight), and potentially a lot to win. Jan Cullinane is an award-winning retirement author, speaker, and consultant. Her current book is The Single Woman’s Guide to Retirement (AARP/Wiley). Put Some Spring in Your Step | A Walking Program Should Be Fun! Prior to invention of the office, automobile, and Lazy-Boy recliner, walking was the most basic form of human exercise. It’s not surprising that study after peer-reviewed study has shown that our modern lack of locomotion has a negative effect on muscles, joints, and synapses, shrinking our blood vessels and expanding our waistlines, especially for those of us over 50. So if you already know why you should get moving, maybe the problem is that you’re not sure how to get started. So check out these tips—call it your Seven-Step Plan—and take advantage of the warming spring weather to get up, get out, and get going. Look ahead on your calendar to the coming weekend. Block out at least an hour on each or both of those days. Absent a real emergency, don’t let anything or anyone encroach on that time. Treat it like a medical appointment—because it is. Having the support of good shoes is a necessity from your Day One walk. You may already have some hiding in your closet. If not, make it your mission to check out the local shoe stores and find a comfortable pair—no scrunching, pinching, or rubbing. And pick up some new athletic socks while you’re at it. Embracing your inner hamster on a treadmill is OK, but adding some fresh air and sunshine to your workout is even better. The idea is to create an interesting outdoor route that takes you in a loop from start to finish. Your legs and lower back benefit from every walk, but don’t leave your upper body out. Carry a reusable water bottle to stay hydrated or a tennis ball to grip and bounce. Hand weights are good, too, while a squeezable two-pound exercise ball can be a toy to play with as you walk. Taking your phone along for a walk is fine, but do yourself a favor by turning off the ringer/vibrate features and sticking it in your pocket. This is your time and the sights, sounds, and smells on your route are part of the experience. Let your mind wander. You might have a new idea or gain a fresh perspective that will make you feel good. and after. But it doesn’t have to be a march or even a hike to start with. Make it a stroll—a comfortable stride at an easy pace. You’ll go further and faster later, but shedding pounds or toning muscles isn’t the point yet. Your initial goal, believe it or not, is to have fun. We humans are creatures of habit and we’re more likely to repeat activities that we actually enjoy. Getting healthier doesn’t have to be a drudge. Even if you start with just a couple of hours this weekend, you’re more likely to expand that time into weekday mornings or afternoons if you’re adding some pleasure to your life. Your distance and pace will naturally increase with regularity, along with the benefits to your overall well-being. Most importantly from the beginning, you might just start feeling a little better about yourself and that’s the first real step to a healthier—and happier—lifestyle. check out the paths to your healthy lifestyle. If the gym is not your first preference, but you value an active lifestyle, have no fear; there’s an increasingly popular alternative—dancing! Tone up, build stamina, and have fun while you’re doing it. This growing trend has inspired a majority of communities to include all kinds of movement-based classes to their fitness and wellness programs. Now you can two-step right out of your comfort zone, and get on down with Hula Hooping, Jazzercise, or Ballroom dance classes. In addition to healthier hearts and lungs, weight management, and greater agility, dancing is also known to include making new friends, relieving stress, and laughing out loud. No wonder most active lifestyle communities now host an array of classes, with everything from Square Dancing to Zumba, and Shagging to Swing being readily available. Dance-based events are also on the rise. Take the story of Jack and Jean Hester for example. They moved from Raleigh, NC, down to their dream home in the stunning 55+ community ‘On Top of the World’ in Ocala, FL. Having loved to dance all their lives, they soon took over the community’s small Events Club and more than tripled the membership in just six months by organizing themed dance nights. “Every community should have a club like this—people absolutely love it! It’s so important to come together and socialize in a fun atmosphere,” enthuses Jean as she describes the ‘Western,’ ‘Freestyle,’ and ‘Music From Around the World’ 2019 line-up. “We always have live music and even the people who say, ‘Oh, I don’t dance,’ often end up on the dance floor having the time of their life!” she smiles. The positive health benefits of dancing are equaled by the positive social and personal benefits. Getting out to shake and shimmy is an ideal way to make new friends, deepen already formed connections, and to be reminded that you’re only as old as you feel. “There’s the obvious physical benefits of movement, but just as important are the mental benefits,” explains Morford. “Square dancing demands that you stay alert and respond to the spontaneous calls.” With around 60 to 100 possible dance calls, Square Dancing is as much a workout for the brain as it is for the body. On the rise as a channel for personal and physical wellness, you can expect to find an enticing range of dance classes and events at most communities. Whether it’s Square Dancing, Five Rhythms, or Zumba, there’s a style for everybody’s body. Writing about the benefits of relocating for a magazine whose tagline is “Find Your Ideal… Destination, Life, Home” does seem a little suspicious and self-serving. But, seriously, have you heard the latest? Relocating is good for you! But, having had five moves involving three different states, and knowing those moves were positive experiences for me, I wondered what the literature says about moving. Is (voluntary) relocation good for your health? I decided to take a look and share my findings. The bottom line is it can indeed be a very good thing, for a variety of reasons. Sharper Brain. With each of my moves, I enthusiastically explored my surroundings, sampling new restaurants, shops, parks, museums, local theater, and volunteer options, and embraced the challenges of fresh career opportunities. I’m not saying every step was easy, but relocating forces you off auto-pilot and out of your comfort zone. Research shows that novel situations enhance memory, and may even trigger the growth of new brain cells. Friends. Relocating can facilitate new friendships, introducing you to unexpected and fresh perspectives. Those who decide to age in place may have established a good network, but over time find their support group may move away: job transfers, friends, and neighbors who no longer want to live in a cold-weather climate, children who moved away because of career choices, divorce, death, etc. According to research, feeling lonely is equivalent to the risk of smoking up to 15 cigarettes a day. With social media (and cars and airplanes), it’s easy to stay in touch and visit with friends from former locations. Or, bring your “posse” with you! Two friends from my previous location live in my current community. In a complex relay of nerve signals, sunlight stimulates our pineal gland (a pea-size gland within our brain) to make melatonin, which helps protect our skin and regulates our sleep-wake cycles. The precursor of melatonin in the pineal gland is serotonin, the “feel-good” brain chemical. We’re familiar with Vitamin D, the “Sunshine Vitamin,” which can be made by the body through the action of sunlight on our skin. Vitamin D’s role in the body is impressive, including: bone and teeth health by promoting the absorption of calcium; increasing the body’s nitric oxide production which reduces blood pressure and increases blood flow to the brain and kidneys (by relaxing blood vessels); strengthening our immune system and heart: regulating insulin; and helping control inflammation in the body. Low levels of Vitamin D are associated with a higher incidence of autoimmune diseases, including multiple sclerosis, Type 1 diabetes, lupus, rheumatoid arthritis, and autoimmune thyroid diseases. And, SAD (season affective disorder) seems to be triggered by a combination of particular genes and shorter days with less sunlight. The average American spends 22 hours a day indoors, but we think we spend only 16 hours a day inside, according to YouGov, an international research company. And, a study published in Nutritional Research found that the rate of Vitamin D deficiency in the United States was 41.6%. Perhaps we’ve been too successful touting the downside of sunlight and ignoring its many benefits. Go outside and play! Forced decluttering. Ah…how good does it feel to go through a closet or a garage, and give away/get rid of all of that stuff you don’t want/need? Relocating is decluttering on steroids. You feel lighter and leaner as you throw off the yoke of all unnecessary belongings. I found that moving to a house without a basement was truly liberating – it forced me to get rid of my Organic Chemistry books from the 1980s, and give away piles of things I wouldn’t use/didn’t need any longer. Save Money. Moving to a place with a lower cost of living or downsizing to a smaller house can save you money. And, if you can ditch your car because you can either walk or use public transportation, you may be able to save even more. You call the shots. Relocate before you can no longer live in your home and are forced to move. Most newer homes are built with “universal design” principles so you can age in place. No more low toilets, bathtubs you have to climb into to use the shower, or door handles that are difficult to turn. Be proactive, not reactive. And, remember – if for some reason it doesn’t work out, nothing is permanent. We’ve all heard the quote about being more disappointed by the things you DIDN’T do than by the ones you did do. Change is invigorating. Embrace it. Consistent social interaction is yet another requirement to ensure good health and a long, vibrant life. But for some, this is easier said than done. Americans typically spend the majority of their adult lives with their nose to the grindstone and spending free time with family. Friends often consist of colleagues and parents of children’s friends, with a few old friends and neighbors sprinkled in. Because there’s little time for forming (or keeping) the deep bonds with friends that came so easily in years past, social lives become family and children focused. So, by the time the nest empties, many simply feel that they don’t have the energy for it. This sense of defeat, combined with the loss empty-nesters often feel, can be a bit disillusioning. Yes, for some, jumping back into the social scene is like riding a bike, and they’re back in the game in no time. But for others, socializing and putting themselves out there is like pulling teeth. This is essentially why active adult communities exist – to make staying active and social easy. Introvert or not, a healthy dose of connection does every body good. And, no matter your personality, finding where you fit into social scenes without the accessibility of organized activities, sports, clubs, and gatherings can be a challenge. This is exactly why active adult communities go above and beyond standard amenities like sports complexes, fitness clubs, and golf courses (all of which can be excellent social outlets). They develop workshops, help to form social clubs and organize events, activities, and outings in order to serve the varied needs and personalities of residents. Whether you’re a nature-lover, bird-watcher, moon-howler, pickleball player, golf fanatic, wine connoisseur, ballroom dancer, quilter, diehard volunteer, lifelong learner, or avid reader, there are people, groups, and activities designed for you. And, if you can’t make yourself go, don’t worry. That’s what having a tight-knit community full of people who have been (or are) in your shoes is all about. Neighbors will eventually get you there. To many it is a sanctuary, the most wonderfully versatile piece of recreational equipment ever conceived. A thing that allows you to close your eyes and connect to the ancient swells and rhythms of the sea. A thing that can silently transport you to secret coves and unimaginably beautiful places. A thing that allows you to work as hard as you’ve ever worked and race 32 miles out to Catalina Island in the sport’s iconic championship. Or express your inner “devotional warrior” on your floating yoga mat … your paddleboard. While every long pull on the paddle carries you farther and farther away from the stress of the day. Sound inviting? Then seek out a place near you to learn to paddleboard and you’ll begin to understand the enriching hold of the fastest growing water sport in the world and an elixir for those in their silver years…both from a fitness standpoint and an aesthetic one. Tom Lawn got hooked on paddleboarding as a newcomer five years ago when he bravely decided to paddle out to a shrimp boat trawling just off the tip of the North Carolina coast where he was unexpectedly adopted by a pod of some 80 dolphins following the boat for free snacks. So close Tom could touch them, the pod let him paddle along for a mile or so. And then the board had him. 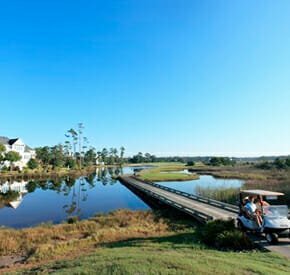 At 66, Tom is a fixture at St. James Plantation, a 6,000-acre planned community of beautiful coastal landscape in Southport, NC, where he is unmistakable driving the mint condition, aqua blue Dodge van he and his wife Sue bought new in 1977. His paddleboards ride on top of the van, surfboard inside, with the couple’s Llewellin Setter, Esker, calling shotgun. Sometimes Jenna Chenevert and Susan Goodwin will just sit down on their paddleboards and eat the lunch they packed earlier back home. 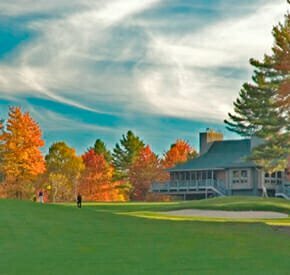 Neighbors at Eastman, a welcoming four-seasons community in New Hampshire, the two thrive on the fitness and aesthetic benefits of paddleboarding on the community’s miles-long lake, and all around New England. Today’s paddleboarders carry on a legacy that some suggest dates back 3,000 years to Peruvian fisherman who paddled reed boats out past the surf break, then stood up and surfed the fully stocked boat back home. But the earliest actual evidence shows a Polynesian paddleboarder heading out to greet Captain James Cook off Hawaii’s Kona coast in a famous engraving dating back to 1779. It would be his ancestors who brought paddleboarding to light two centuries later on the north shore of Oahu. You will want to do a lot of research before buying a paddleboard, but generally you’ll be looking at a board that’s 10-12’ long and costs between $500-1,500. A lighter graphite paddle will be worth the investment to your hands and arms on long rides. Make certain, also, that the weight of the board (generally 24-30 pounds) is manageable and that you’re able to lift the board, or comfortably load it on a car rack for transport. There are even inflatable paddle boards that are lighter and easier to manage. So, if the idea of enhancing your physical and spiritual health, while meeting new friends sounds inviting, just look for the mint condition, aqua blue van and say hi to the explorative new world of paddleboarding!